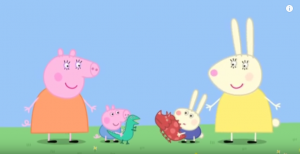 【日本語訳付き】Peppa Pig フレーズ集　George's Friend編 | English Culture for Kids! 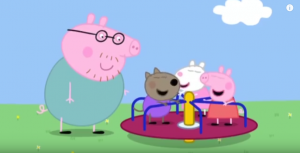 Narration: Peppa and her friends are at the playground. 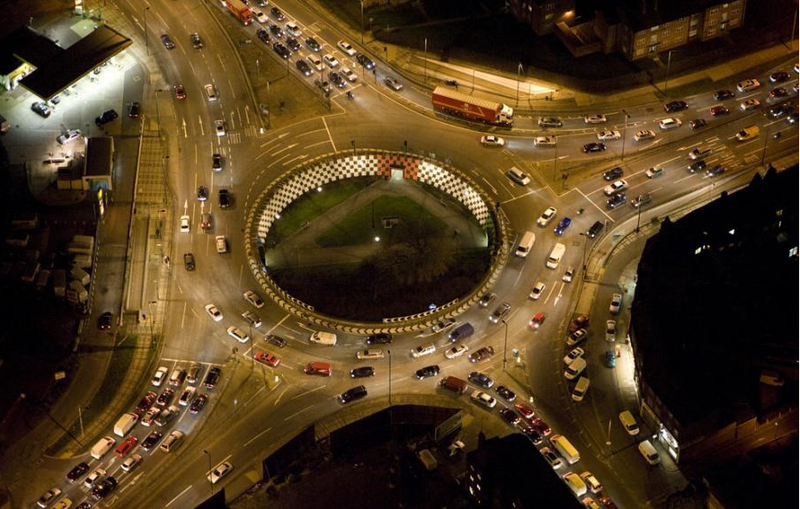 Peppa, Suzy, and Danny are on the roundabout. 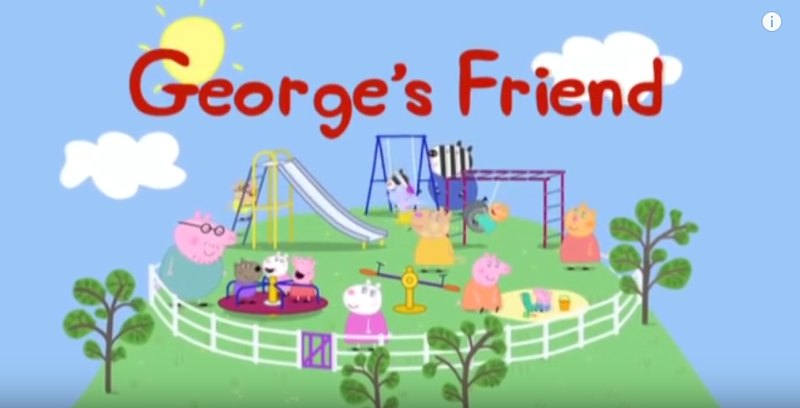 Narration: Richard Rabbit is the same age as George. Narration: George and Richard do not want to share their dinosaurs. Rebecca: They’re just too little to play properly. Hana is too little to jump, but I can do star jumps, straight jumps, and side jumps too! She is still too little to use chopsticks. She needs to learn how to use spoon and fork first. Miss Rabbit: Can you two big girls teach them to play together? Can you teach her how to use spoon? Can you teach her how to ride on a buggy on her own? Can you let her know how to stack those blocks up high? 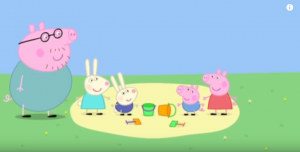 Rebecca: First, we fill the buckets with sand. Narration: Oh dear. This game has not gone very well.